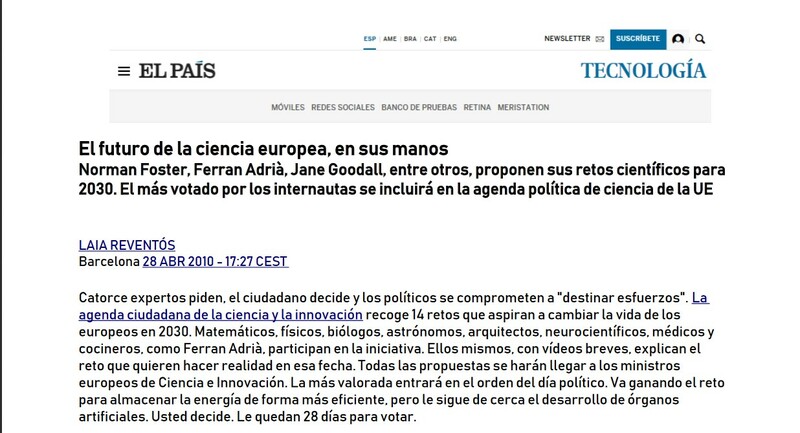 In April 2010 the Spanish Presidency of the EU launched the project “Citizen Agenda for Science and Innovation”, “Reto2030” (Challenges2030), inviting 14 European experts, mathematicians, physicists, biologists, astronomers, architects, neuroscientists, doctors and others to present their challenge for the future of Europe in 2030. 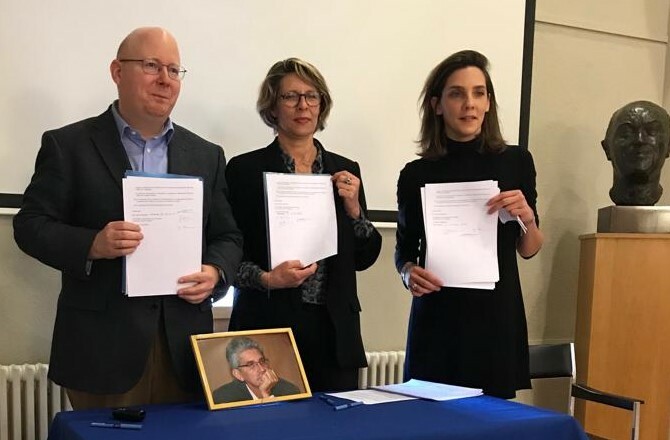 Franck Biancheri was selected alongside personalities like Norman Foster, Ferran Adrià, Jane Goodal … and presented his challenge “to overcome the barriers of the languages in Europe thanks to technology “. 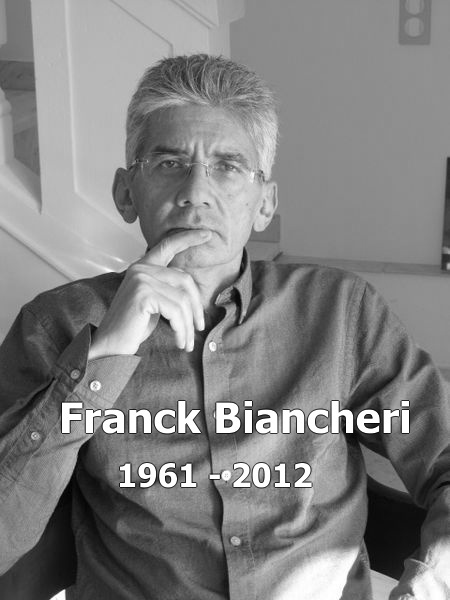 For Franck Biancheri, the question of languages in Europe is a fundamental question to make democracy work for 500 million people. For Europe, it is a major challenge in terms of technological and scientific investments, even more so today, such a project is part of the challenges of artificial intelligence (AI) in which the EU wants to fit in this 21st century!